Enables wet paint brushes with oil-based paints and varnishes to be stored in a convenient and economical way. 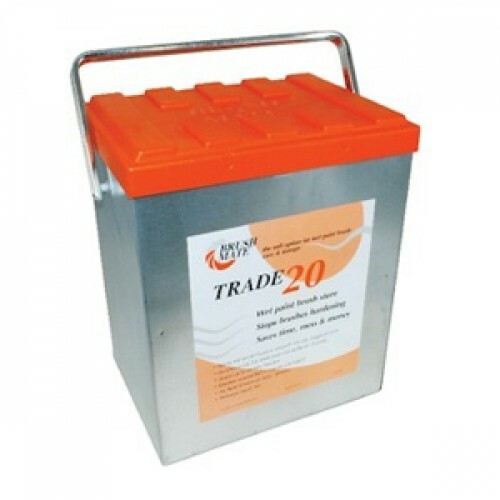 At any break, simply clip the wet paint brush into the Trade 20 and replace the lid. The unique vapour system keeps brushes soft and pliable for hours/days and even months! Manufactured from galvanised steel and rugged plastic for strength and durability. Holds up to 20 brushes & comes complete with 250 ml of fluid, 20 brush clips, replaceable internal vaporizer panel and drip mat.